Amazing Spider-Man #690, American Vampire #29, Aquaman #11, Before Watchmen Comedian #2, Captain America #15, Flash #11, Green Lantern #11, Hit-Girl #2, Mighty Thor #17, Superman #11, Superman Family Adventures #3, Winter Soldier #8, and Wolverine and the X-Men #14. The show can be heard right here and on our Facebook page. 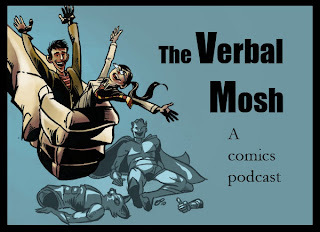 Visit us at www.theverbalmosh.com where you can read written reviews. Find out what is this week's Pick of the Week, etc.